If you have installed a recent release of Windows in the past 5 years, you pretty much know what it will be like to install Windows 10. In this article, we take a look at performing a clean install. This includes starting a clean install from within a running version of Windows or a hard disk/SSD with no previous Windows installations. Previously, Windows 7, Windows 8.0 and Windows 8.1 users needed to have either of those versions of Windows installed and activated in order to qualify for the free upgrade offer. For users who needed to perform a clean install of Windows 10 from the outset, it was a two step process of first validating the machine through the upgrade routine, ensure the Windows 10 Upgrade was activated, then proceed to perform a Reset. Starting with versions Windows 10 1511 or later, users no longer have to go through this process. What is the Digital Entitlement or Digital License? When you upgrade from a previous version of Windows, what happens is the hardware, (your PC), will get a digital license. This is a unique signature of the computer which is stored on Microsoft Activation Servers. The Windows 7 or Windows 8 genuine license you were previously running will be exchanged for a diagnostics product key. Anytime you need to reinstall Windows 10 on that machine, just proceed to reinstall Windows 10. It will automatically reactivate. The only exception where this applies is dependent on the license you upgraded from. If you change your motherboard and originally you upgraded from a Windows 7 OEM or Windows 8 OEM license, then your Digital Entitlement will be invalidated. You will need to purchase a new full version license. So, there is no need to know or get a product key, if you need to reinstall Windows 10, you can use your Windows 7 or Windows 8 product key or use the reset function in Windows 10. 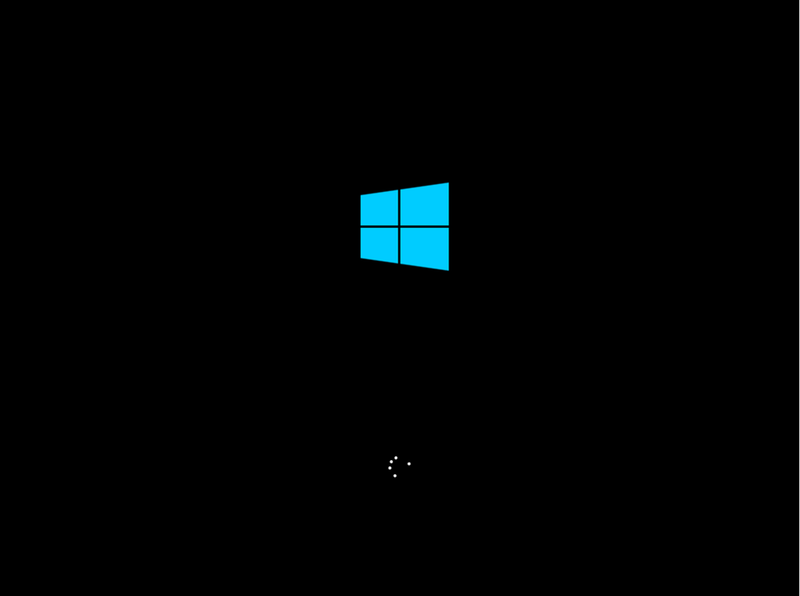 The Windows logo will appear on screen, this might be here for a while, as long as you see the animating dots, everything should be ok. Select your Language, Time and Keyboard method then click Next. Windows 10 setup will prompt you for a product key during installation a couple times. If you originally upgraded from Windows 7 or Windows 8/8.1 click the option 'I don't have a key' and 'Do this later' . If you have a Windows 10 product key, you can proceed to enter it. Setup will also prompt you to select the edition you have a license for - Home or Pro. Please make sure you choose the right edition. If you choose the wrong edition, your only option will be to perform a clean install again. NOTE: Sometimes Windows 10 setup can become confused if it see's a thumb drive. You might get a driver missing error or something to that effect. If you do, restart setup, but this time, when you arrive at the following screen, disconnect your thumb drive then go through Custom options. When setup is ready copy files, it will prompt you to reconnect the installation source (your USB). NOTE: If you have multiple partitions listed, select each one (starting at the bottom), then click delete until there is only a single (one) unallocated drive displayed in the window. This will split the drive into multiple partitions, select the Primary partition then click Next. NOTE: The System Reserved partition is where recovery files are kept for diagnostics and repairing damaged Windows 10 files; or even reinstall Windows 10. When this phase of setup is complete, Windows will automatically restart then reboot into setup again. Windows is detecting and installing your hardware. After this is complete, Windows will restart one last time. The Out of Box Experience page is where you get to configure detailed settings in Windows, which includes creating a user account, configure privacy, sync PC settings and install modern applications. There you go, Windows 10 has successfully installed! How do I check my activation status? Windows 10 1607 (build 14393) or later. Fantastic article. Very clear. However, I'm having a problem that is not addressed in your step-by-step guide. I successfully get to the step right before the OOBE. My PC boots again but goes back to the DVD which is still inserted. Then, I get the prompt to Press any key to reboot from CD or DVD. Doing so gets me back to the setup on the DVD for another install. Not hitting any key causes my PC to just stop. Is the media supposed to be removed prior to this final reboot? [UPDATE] Success. By a combination of doing a PC Cleanup then removing the DVD just after the final setup step, I'm able to boot into the Tech Preview and finish setting up accounts, etc. I'm up and running now. Strange, what is your default boot device in the BIOS, hard disk or DVD? Try making your hard disk be the default boot device in the BIOS and see if allows you to boot into Windows 10 without going into setup again. I'm not sure what you mean by "default boot device". My boot order is DVD then hard drive. If I make the hard drive first then I cannot boot from the DVD to get the install started. The hard drive had an old Windows 8.0 system on it. When I tried to install a bunch of updates, I could no longer boot from the hard drive. That's when I decided to just scrap 8.0 and try Win 10. When I do that, I get the same thing again. If you are in the OOBE for Windows 10, why would you need to be booting from the Windows 10 install media again except for installing Windows 10 again? I successfully get to the step right before the OOBE. When this phase of setup is complete, Windows will automatically restart and reboot into setup again. Which means, all necessary files would have already been copied from the disc to facilitate the installation. Do you have more than one hard disk installed in your computer? Do you have external storage devices attached to the system? If you do, disconnect them before running setup. Andre, I'm not in the OOBE. As I said, and you quoted, I'm in the step before where I see the "Windows needs to restart .." message. But because my DVD player is first in line in my BIOS, instead of booting to my hard drive which now has the Tech Preview on it, the PC boots back to the DVD with the install ISO on it. But, as I said in the update to my first post above, I was able to pull the DVD in time so my PC booted to the hard drive. I now have the Tech Preview running. Thanks for the article and your help. Understand but we need a iso or a file that can burn a disk the main operating system. where form we get it? I did the free upgrade of my Windows 7 and now want to reinstall Windows 10 using a clean install. I'm a bit anxious from nature so I first looked up whether my installation of Win10 is activated and which product key is used. I got even another key which is neither my Win7 key nor the Insider Preview key. What key should I put in when I'm prompted to activate Windows 10 after the clean install? I DID NOT use a Microsoft Account - and I won't be persued to do so. Instead of publishing a new article, how about answering the questions? When I upgrade to Win10 my Hardware-Setup is recorded in a MS DB and connected with a free license for Win10. What, when my hardware changes? Yes there's much information about that but only from 3rd-party. Do I need to do the upgrade again? What if my hardware changes AFTER the one year after the release? Do I still get the free upgrade? If not, can I at least use my 'old' Windows which I before used to upgrade to Win10 or is the license not valid anymore (you say one can only 'go back' 30days lonng). How's all that with Germany: Here a hardware-change afaik cannot 'invalidate' the license. So: Do *we* get Win10 for free on all devices? All questions not have been answered by MS Officials. This, well, is quite sh*t.